Here’s a great golf video tip from Stan Utley in which he shares some awesome advice for improving your chipping. 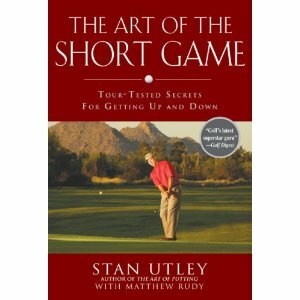 Stan Utley is the author of the book called The Art of the Short Game. Great golfers know that the secret to a lower score is a solid short game, but mastering those small strokes can be very difficult, even for the pros. 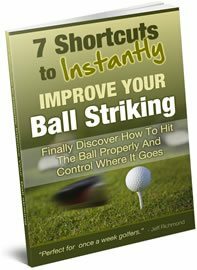 But one of golf’s most revered instructors, Stan Utley now reveals the step-by-step tactics behind his revolutionary short-game techniques in The Art of the Short Game. After introducing readers to his groundbreaking philosophy that explains why most players don’t see all the shots available to them near the green, Utley moves on to shatter conventional wisdom about stance, grip, and ball position. From choosing the right clubs to spin reduction during chipping and fearless sand play, The Art of the Short Game demystifies the most aggravating shots on the links. Though Utley’s primer features a full set of drills, accompanied by more than seventy-five photos, his approach is far removed from the monotonous, mechanical instruction of yesteryear. Giving a time-tested secret weapon to every golfer at every level, Utley’s short-game methods turn trouble shots into triumph. 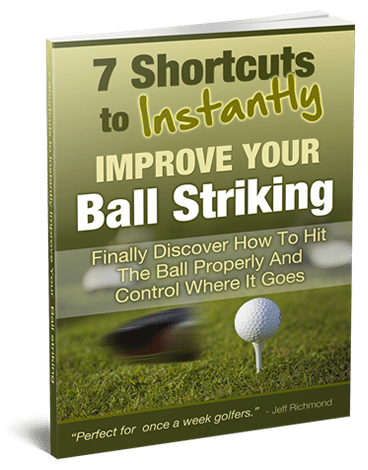 To get this book so you too can improve your short game and knock shots off your score click here.